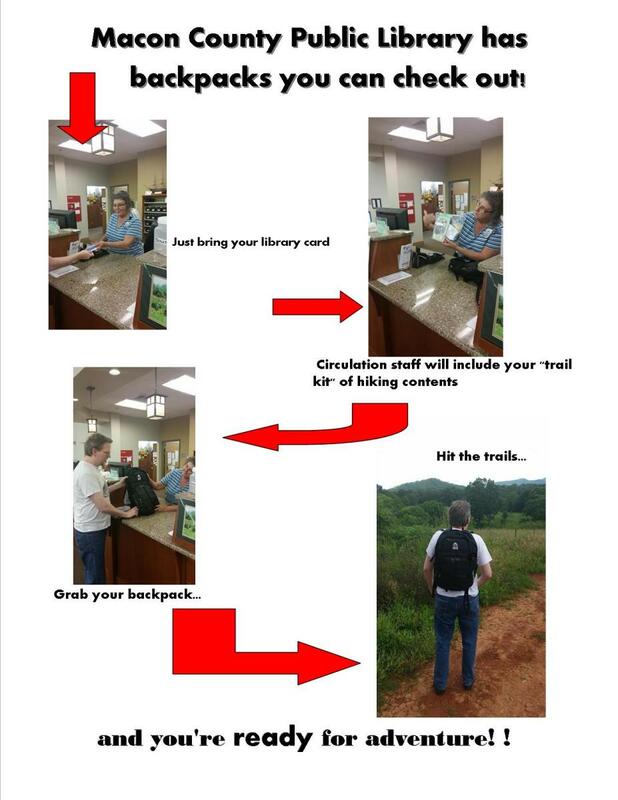 Recently, Macon County Public Library received a donation of ten new, fully stocked backpacks, to check-out for day hikes around Franklin and Macon County. The packs and their contents were the gift of North Carolina State University student Kaitlyn Sutton. She is a native of Macon County, and is a recipient of the General Hugh Shelton National Leadership scholarship, that included some money she chose to use as a community service project to give back to the outdoor community of her youth. Learning of some other Appalachian Trail communities that were doing something similar, she partnered with Outdoor 76 (a specialty outdoor shop) in Franklin, who provided the Granite Gear packs and some basic day hiking supplies (compass, emergency blanket, head lamp, first aid kit, etc.) under the guidance of the Franklin Appalachian Trail Community Council. Additionally, Books Unlimited (a Franklin bookstore) donated nature guides and pamphlets, while the USDA Forest Service contributed area trail maps. 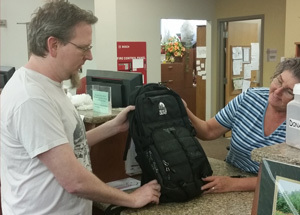 Macon County Public Library agreed to make the backpacks available free to anyone with a Fontana Regional Library card for one week checkouts. 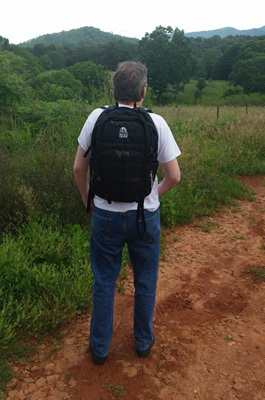 With the backpack and its contents, someone interested in a day hike can hit the trails in the Franklin/Macon County area ready to go. This exciting new service is now available @YourLibrary! Share your journey with us on Facebook (tag us @fontanalib).